Pioneers in the industry, we offer karanj based insecticidal soap (organic certified) and neem base insecticidal soap (organic certified) from India. 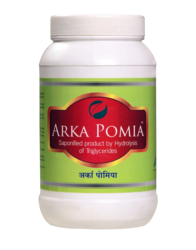 ARKA POMIA is developed by Indian Institute of Horticultural Research, Bangalore and Licensedby National Research Development Corporation, New Delhi. ARKA POMIA is effective for the management of wide range of insect pests like Diamond Black Moth, Leaf Webber, Hoper , Aphids, Red Spider, Thrips, Scales, White fly, Leaf Minor etc. ARKA POMIA is recommended for organic farming. ARKA POMIA is used in all vegetables and fruit crops. ARKA POMIA leaves no residue and no toxicity, when used as recommended. Foliar Spray :-	5 to 10 ml / Liter of water. 2 to 4 Lit/acre depending upon Canopy of the crop. ARKA POMIA is compatible with almost all commonly used pesticides, chelated micronutrients and should not be used with fertilizers & Inorganic Micronutrients. 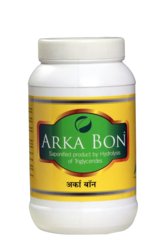 ARKA BON is developed by Indian Institute of Horticultural Research ,Bangalore and Licensed by National Research Development Corporation,New Delhi.ARKA BON is effective for the management of wide range of insect pests like Diamond back moth, Leaf Webber, Hoper , Aphids, Red Spider, Thrips, Scales, White fly, Leaf minor etc. ARKA BON is recommended for organic farming and where insect pest have developed resistance against conventional and new generationinsecticides. ARKA BON is used in all vegetables and fruit crops. ARKA BON leaves no residue and no toxicity when used as recommended. Foliar Spray :- 5 to 10 ml/ Liter of water. ARKA BON is compatible with almost all commonly used pesticides, chelated micronutrients. ARKA BON should not be used with water soluble fertilizers & Inorganic micronutrients.